It has been several months since my initial reports on Operation Crabs in a Barrel and the Obama-Wright Affair. As outlined in my earlier recommendations, the Wright doppelganger has been under close surveillance. Also, in my efforts to determine how to best contain the threat posed by Reverend Wright, I have consulted with our experts in the psychic warfare division (their particular brand of "science" has always made me a bit nervous, and these most recent encounters are no exception). Ultimately, these meetings gave birth to Operation Blackout. Operation Blackout's principal goal is to push undecided and swing voters to the Obama camp through the application of covert means such as the use of remote mind-control and personality conditioning, as well as the deployment of agent provocateurs within the McCain camp and at Fox News (by example, our cultivation of Geraldine Ferraro and Bill Clinton worked wonderfully, and Agent 69's seduction of both targets was rewarded with a commendation and promotion). Our intelligence division correctly identified the dynamics of Obama's weakness among "hard working white voters" some time ago and we have been scrambling to find a solution. McCain's closing of the gap with Obama in several polls is further evidence that we must initiate more radical plans if we are to ensure an Obama victory. Unfortunately, some in the white working class may be beyond either the reach of normal political appeals to material self interest, or to the wisdom of voting for Obama as a function of common sense. Several months ago, we became aware that a sleeper cell of Greater Opposition Party (GOP) agents had been activated in Flag City. This area has long been a hotbed of GOP activity and we have kept it under close scrutiny (in fact, Flag City was originally one of the "model communities" that Cobra's elite Crimson Guard had infiltrated in the mid 1980s) . As is typical GOP standard operating procedure, they chose to hide their control over the city in plain sight--the same way the Soviets used to operate with their command and control centers during the Cold War--and even went so far as to have their contacts at the Washington Post write a feature story about Flag City's residents. Even when allowing for ideologically rooted ambivalence towards Barack Obama, the levels of anti-Obama animus among Flag City residents was shockingly high. Following through on my concerns, I pursued an intuition and inserted a small team into the hills surrounding Flag City to begin a more intensive surveillance campaign. I also requisitioned one of the new Reaper drones from an ally in Air Force Intelligence. This drone was put on alert and began signals intelligence over Flag City. On my orders, this drone was equipped with a high band electromagnetic energy spectrum analyzer. As expected, the drone detected anomalous readings from within Flag City. My worst fears were confirmed: the GOP was in fact controlling the residents of Flag City with a Brainwave Scanner. It has been several years since we last came upon one of these horrific devices. As a reminder, the original devices were limited to targeting a very small area, and were ideally used for controlling only one person at a time. The energy readings from the device we detected in Flag City were orders of magnitude greater than those emitted by the comparatively simple models in use some decades ago. As per standing orders (whenever a grade one threat is encountered standing order 101 allows us to circumvent the Posse Comitatas Act and deploy our forces on U.S. soil) I deployed our troops with the following mission: 1) to seize the device with a minimal loss of life, and 2) remain unseen and unidentified by the residents of Flag City. A small group was inserted into the town where it was supplemented by some former members of Task Force 145 (Delta commandos and Seal Team 6 mostly, with some operators from 1st Recon in the mix as well) who have joined our cause. The strike team formed a perimeter around the main science building of the local university, forced entry, and applied non-lethal force to subdue the human security in the area. Our team did encounter a surprise upon breaching the control room for the Brainwave Scanner: Battle Android Troopers (BATS) were defending the device. Fortunately, the team had deployed with a targeted EMP device and were able to deactivate the BATS without damaging the Brainwave Scanner). Note: upon reading the after action report I was reminded of our early struggles against those damn machines and how they make those robots from the Terminator films look like children's toys. 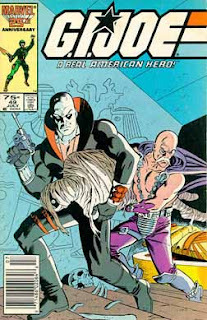 We believed that Dr. Mindbender was "off the grid." True, he had recently worked with Roger Ailes at Fox News and was a long time confidante and adviser to Karl Rove, but after the Iraq debacle it was thought that Mindbender had decided to ply his craft overseas. Luck was with us again, as Mindbender was seized while attempting to leave town via speedboat and he was immediately secreted away to one of our safe houses. Mindbender is a treasure trove of knowledge regarding mind control, interrogation techniques, psychic operations, and the occult (his father and grandfather were key members of Hitler's Thule society and were indispensable to the Nazi's efforts to obtain the Spear of Destiny). It was at this point that I made the faithful decision to move forward with a plan to deploy the Brainwave Scanner in order to influence key opinion leaders, targets of opportunity, and any others who could be used for our cause. Personal Note: this decision has caused me no small amount of anxiety and doubt. Yes, there is a precedent for working with a war criminal for the greater good (our use of Nazi scientists to develop the space program following World War 2 comes to mind), but I still hope that we are making the right choice. Our plan will certainly raise some eyebrows when in the far future its full dimensions come to light (as is common to all of our missions, Operation Blackout's records will be sealed for 100 years). I am a firm believer in our democracy, but from time to time it must be helped along. I know I both speak for the agents under my command, as well as reflect your leadership, when I state that it is this common faith in our cause which empowers us to make these types of difficult decisions. Operation Blackout began with several small tests of concept and operation which proved immediately successful (the singer in Denver who substituted the Black National Anthem for the Star Spangled Banner was our first target). Rather than attempt to influence the public in mass through a direct application of the Brainwave Scanner, a rather clumsy tactic in my opinion, I developed a counter-intuitive strategy with a high level of plausible deniability. For phase one, I developed a list of targets according to the following criteria: What persons could be turned against Obama, and through their actions draw white voters towards Obama's camp? Accordingly, this application of the truism "the enemy of my enemy is my friend," involves provoking blacks (and others) that many in the the white public have extreme dislike for into attacking Obama. Phase Two will involve the conditioning of prominent conservatives, individuals who should by all measures be against Obama, into eventually supporting his candidacy for president. The sum effect of Operation Blackout will be a net gain for Obama in the presidential campaign. Both of these targets followed their programming. Jesse Jackson was programmed to express a desire to "cut Obama's nuts off" for "talking down to Black people." Although, he was not programmed to do so, Jesse Jackson may have used even stronger language to describe Obama (we are still analyzing the tapes). 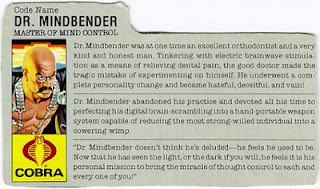 Mindbender believes that this second outburst, if it did in fact occur, was a result of the Brainwave Scanner freeing Jackson to state opinions that he may in fact deeply hold. In total, we believe that the Jackson-Fox event is pushing whites towards Obama--Fox News's decision to censor the interview hints that the GOP agents at Fox may also be mindful of this effect. Bernie Mack's conditioning resulted in his using off color language during a comedy routine he performed at an Obama campaign dinner. Although this could have potentially embarrassed Obama, the plan worked as outlined with Obama playfully chastising Mack at the event and earning more praise from the public and mainstream media. I will continue to update you on Operation Blackout as it develops. We are still in the process of developing a target list for phase two. If you have any suggestions for persons or groups that should be added to the target file, please forward them to my secure email. We are also open to expanding the target list to include "progressives." Per procedure, you will be updated should the plan encounter either unexpected difficulties or surprising successes as we continue to shape the battlefield prior to the Democratic and Republican conventions.